I printed out a list of Chicagoland pumpkin farms and, after reading the list and looking them over online, I chose Goebberts in South Barrington. It was about a 45 minute drive there but there's no charge to just wander the grounds. Your fees come when you want to eat there or ride the rides they have going on all day. Plus, they have been open for fall business since September 24th unlike the other pumpkin farms whose opening day was today. A few less people. It's chilly. There is a stiff north by northwest wind. If you're out of that, the air temperature is cool. It was clear as I got there but clouded up and that made the wind feel raw. Still, I spent a good 45 minutes wandering all over the place. I came home with some goodies. I decided that I would buy only what I could carry. There would be no pushing a cart around. My eyes would be bigger than my wallet and that's not a good thing. I got a half a peck of Cortland apples. There will be applesauce, although I'm feeling the urge to make crisp or cobbler. I have vanilla ice cream in the freezer. Now wouldn't that be scrumptious on a fall evening, warm cobbler with vanilla ice cream. I got a butternut and acorn squash. There was some scent on the butternut squash that Pilchard spent a long time sniffing. Those will be baked until soft and then frozen for later. 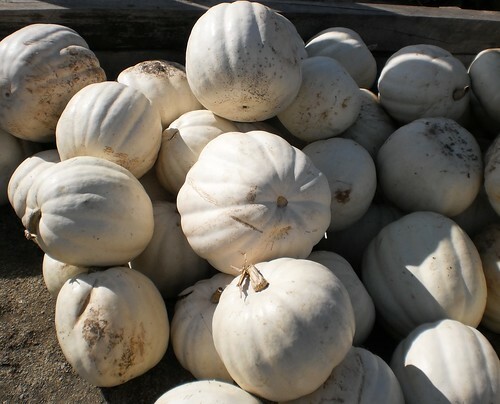 Butternut squash soup is on the menu in the next couple of weeks. There's Butter Pecan Syrup to go over these different pancakes I keep finding. Red popcorn kernels were something I hadn't seen in a long time. For you city folk, no the popcorn doesn't pop up red. That would be way cool. It's still white but I think there is a subtle difference in taste between the standard yellow popcorn and red popcorn. 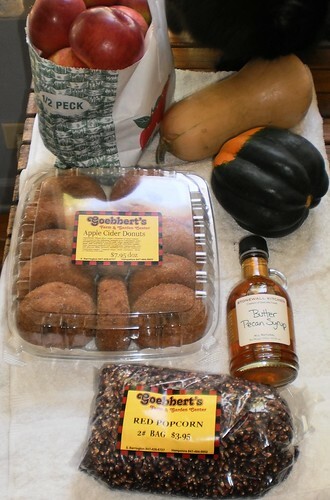 The last item is a dozen of Goebbert's famous apple cider donuts. No, I didn't get a pumpkin. I couldn't carry it and they had pie punkins as well as carving punkins. It was a very profitable trip. No, I haven't eaten all the donuts. They have a cinnamon sugar coating that is a bit crunchy and are way too sweet to sit down and eat the entire dozen. They will be perfect for breakfasts over the next few days. I'm going to be out and about in the next week. 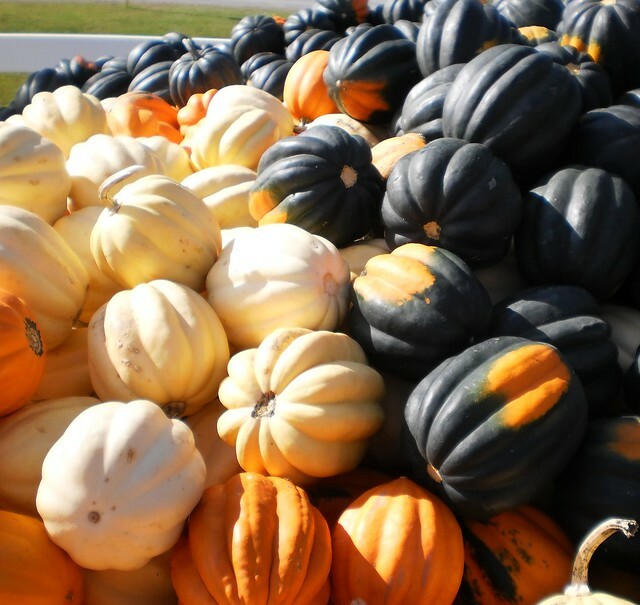 I'm going to keep an eye out for farm stands or other pumpkin farms on my travels. If worse comes to worse, in a couple weeks, I'll go back to Goebberts and get a punkin there. Maybe one of these.